There are no 2019 hikers for Haiti signed up yet. 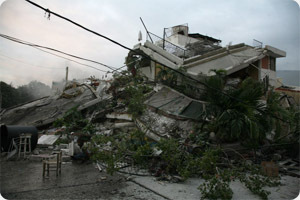 In the aftermath of the earthquake as many as one million Haitians have been left homeless. Haiti will need to be completely rebuilt from the ground up, according to a journalist, as "even in good times, Haiti is an economic wreck, balancing precariously on the razor's edge of calamity." Many countries responded to appeals for humanitarian aid, pledging funds and dispatching rescue and medical teams, engineers and support personnel. On 22 January the United Nations noted that the emergency phase of the relief operation was drawing to a close, and on the following day the Haitian government officially called off the search for survivors. Long after international disaster relief and aid funds for Haiti stop flowing, the majority of Haitians will still be living in extreme poverty. The economic and political conditions which created a state of poverty for Haiti before the quake persist. We believe the best long term solutions are those which will empower the Haitian people to take care of themselves. We consulted with members of the Natural Building Network to find a non-profit organization that we felt could put the funds raised to most effective use aiding Haitians with long term solutions. 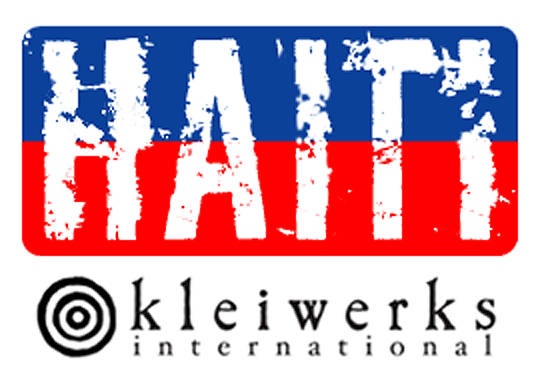 We're excited to have found Kleiwerks International as after significant discussion we're convinced their experience and comittment will make our collective donations go far in Haiti. Will include women, men, and youth community leaders from the Tabarre neighborhood of Port au Prince. There will be a survey process in which training participants are selected in small groups based on their commitment to share what they learn with their extended communities. Our approach is one that helps communities build their own capacity to help themselves vs. a hand-out approach. The building will serve a significant community need currently being clarified by the people who live in the neighborhood. The building must be completed during the training so that trainees get a comprehensive, hands-on experience that includes every phase of the building process. A Haitian woman architect named Regine will design the building. Regine is one of our main colleagues, and is a pioneer of sustainable reconstruction in Haiti. The building will be based on refinements of commonly known construction methodologies so that it's culturally appropriate and transferable. Will be based on that which is locally available and affordable. We will use our blog, website, and social media to share visual and written updates of the process. We'll be happy to acknowledge HikeFor and it's contributors as the main sponsor of the training. The way our programs work, and the most empowering approach we can take in Haiti (and elsewhere) is to engage the community in defining their own priorities. Once funding is available, community groups will gather to determine which project will serve them best based on the parameters laid out below. I hope the description of our process (below) helps donors understand this project's dedication to be an empowering process for the local people. Kleiwerks International's building projects serve significant community needs that local community members determine themselves. The training programs help community groups build their own capacity to serve themselves vs. perpetuating a "hand-out" victim mentality. The training participants are leaders of local orphanages, schools, churches, and other groups who will replicate and share what they learn in the training with their respective communities. Our commitment, first and foremost, is to an uplifting community-building process that creates connectivity and cooperation vs. competition for resources and a "hand-out" victim mentality. The building that gets constructed is based on what local groups determine will serve their community's greatest good. "Stakeholders" are the Haitian women, men, and youth leaders who live and work in the local community. Project selection is based on a structure that serves the greater good, is replicable, affordable, uses locally-available materials, can be completed within the means of the program budget and timeline, and create replicable models that improve local building knowledge. Program and project results are experienced directly by the participants, and their community-at-large, while also serving long-term needs. Follow-up projects that training participants will create in their respective communities are identified by their community beforehand so that there are clear next steps for leadership, community engagement, and replication of building technologies. feed them for a day. Here's an example of one effective building technique which takes little more than earth and burlap bags. It takes time to assess the right solutions considering many factors including availability of local resources, cultural considerations, weather patterns, etc. The Natural Building Network is working with relief organizations such as Builders Without Borders, Engineers Without Borders, Groundswell International, Permaculture Haiti and the Permaculture Relief Corps to implement effective housing solutions in Haiti. .
Natural building involves a range of building systems and materials that place major emphasis on sustainability and use of local resources. Natural building techniques are also easily learned, and natural homes can be very inexpensive to build. These are just a few of the reasons why these building techniques can be effective solutions in impoverished areas. If you haven't seen the film Garbage Warrior, you should! The Earthship team has experienced first hand how impactful these solutions can be for survivors in areas devastated by natural disasters. It's educational, but also simply a great film.